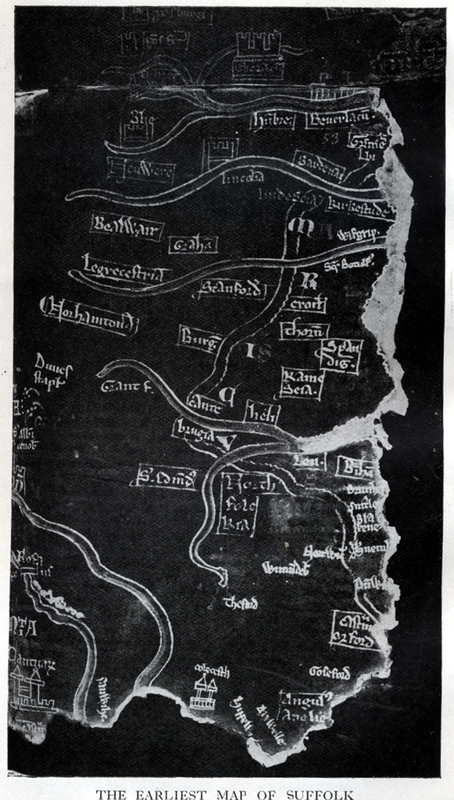 This map is thought to be a military map, showing roads and castles. 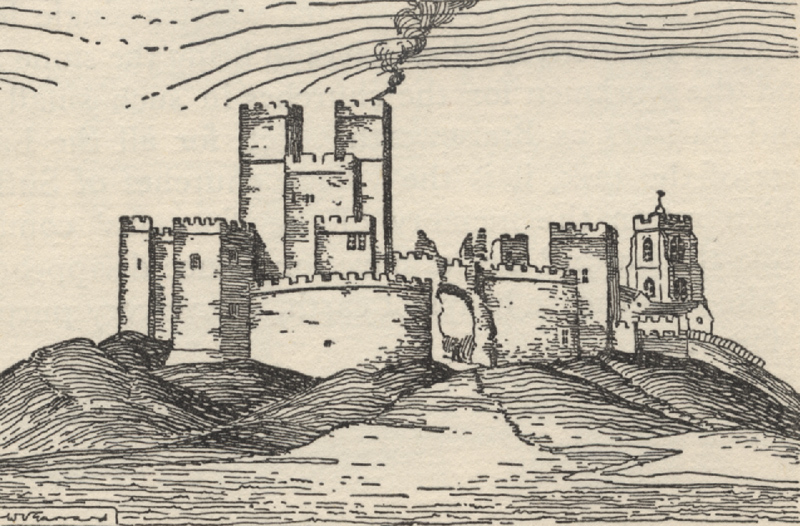 It may be the first English map to show a road, and may be connected to the building of Orford Castle. Note the road from Orford to Grimsby. 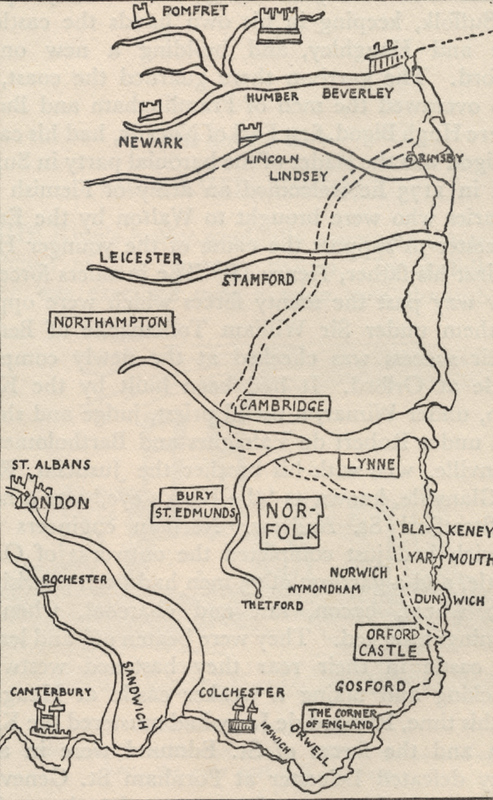 Key to the oldest map, re-drawn and published in Lilian Redstone's "Suffolk" of 1930. 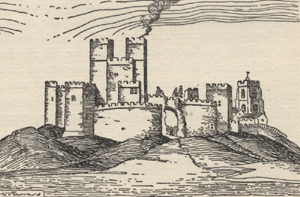 The three towered castle at the top of the map represents York. Not all of the markings on the original have been reproduced and translated.